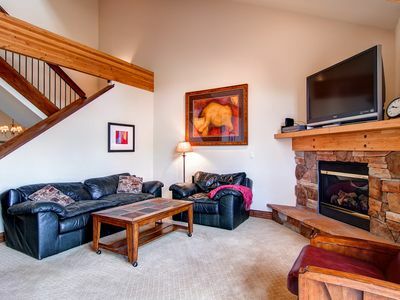 Very comfortable 4 bedroom 2700 SF home on a mountain stream near several ski resorts (Copper Mountain 10 min, Breckenridge 15 min, Keystone 15 min, A-Basin 20 min, Vail 30 min, Frisco Peninsula Nordic Skiing 5 min.) 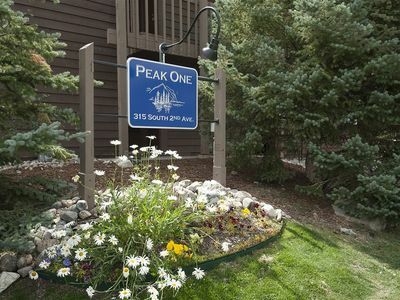 Neighborhood next to Summit County Bike Path and National Forest for hiking, biking, & sledding; enjoy the wonderful Rainbow Lake hike starting 2 blocks from the home. 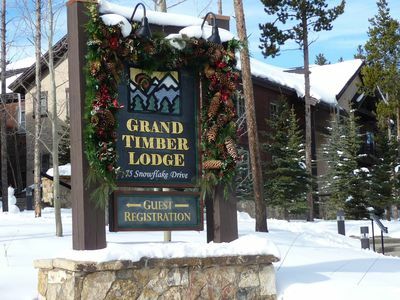 The well-maintained clubhouse (600 feet from home) has 3 large outdoor hot tubs and 1 indoor hot tub plus indoor swimming pool, racquetball court, steam room, sauna, and locker rooms. Tennis court open in summer. 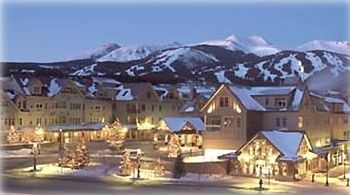 Walk (1/2 mile) to Main Street restaurants & shopping. 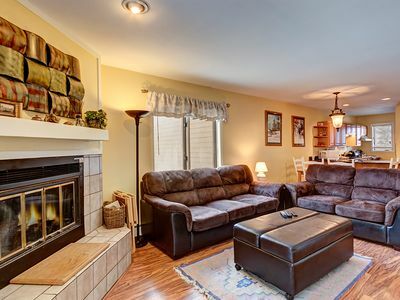 The home is organized to maximize comfort for up to 3 families. The master queen bed/bath is on the first floor along with a second queen bed/bath, family room with gas fireplace, dining area, & kitchen. 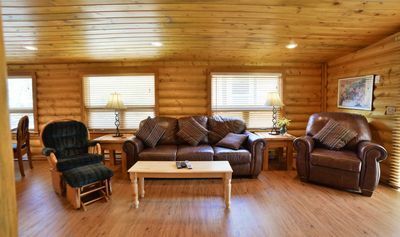 The lower floor has a 3rd queen bedroom, full bathroom, a very large living area with gas fireplace, TV, & ping pong table, and a fourth bedroom including 4 bunk twin beds. The loft has a full size futon. 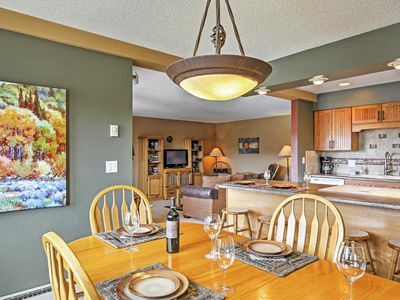 Home includes fully-equipped kitchen with stainless steel appliances & granite counters. 1 car garage and driveway parking for more. Washer/dryer in laundry room. 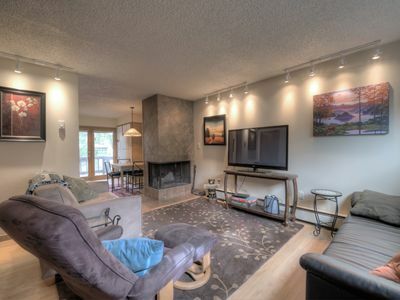 WIFI high speed internet accessible throughout home. The front patio includes a gas grill & gas fire pit. 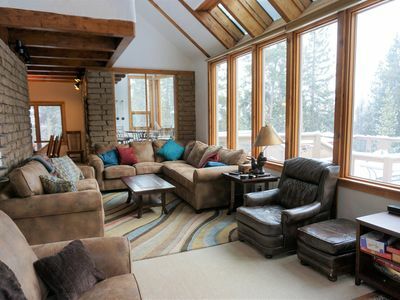 The back deck overlooks a flowing mountain stream. 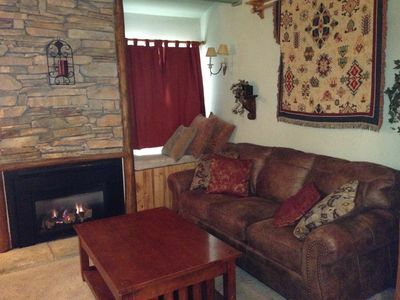 Relax in either living room in front of the gas fireplaces. 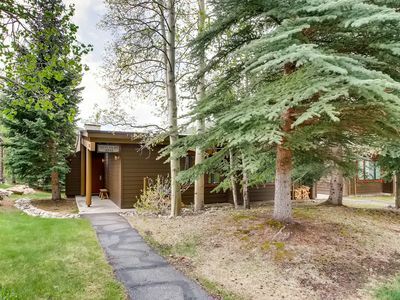 Support environmentally friendly lodging - this home has a rooftop 2.5kw photovoltaic electric system and remainder provided by Xcel Energy 100% Wind Program. 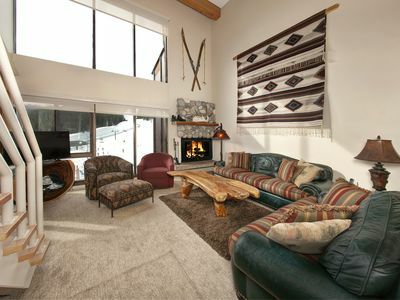 Ski-in/Out condo overlooking burning stones plaza! 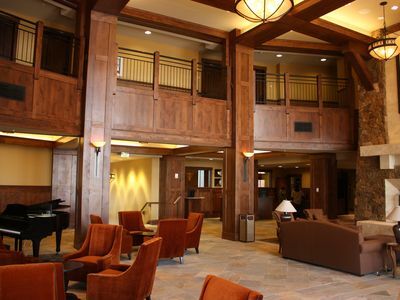 Complimentary WiFi, parking and athletic club. 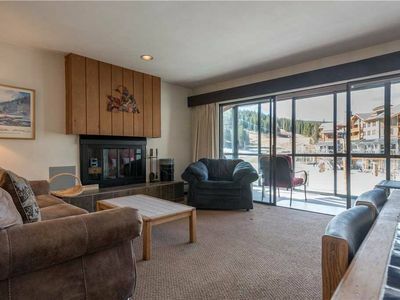 Breckenridge Condo w/ Balcony & Views of Mt Baldy! 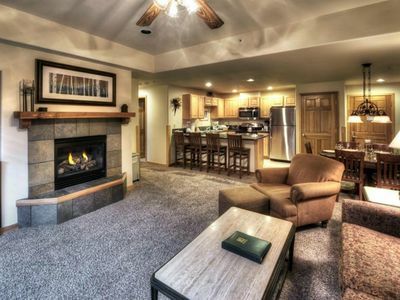 True Ski in and Ski Out Condo. 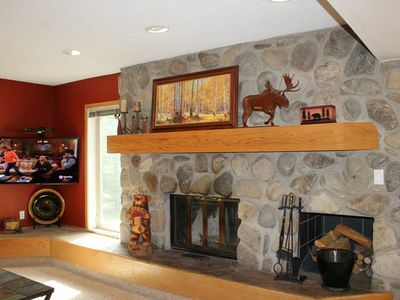 Beautifully decorated with ski slope views. 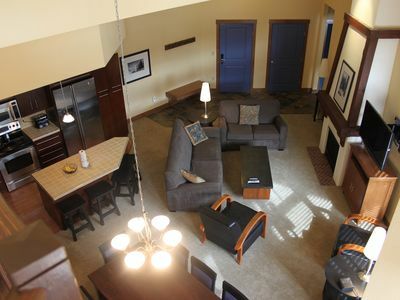 3-bedroom, 3-bathroom luxury penthouse with loft bed facing mountains! 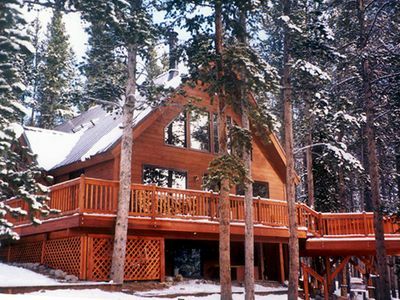 Haus Crisler, a true mountain home! 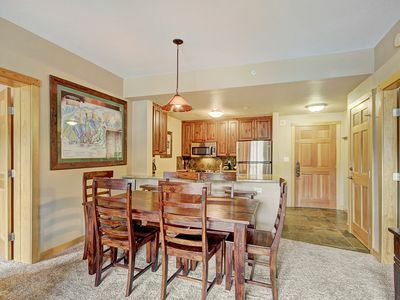 2 bedrooms+Loft/ 2 Bathrooms New Hot Tub! Great Location! 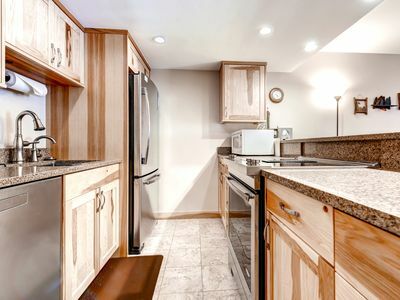 Remodeled 4 bedroom only 2 blocks from Main Street. 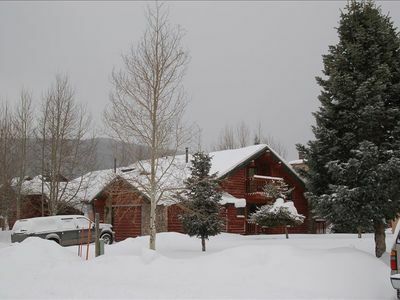 Silverthorne Home w/Private Deck and Mtn Views!